Plywood is composed of three layers to fix together by Plywood Press Machine. This procedure makes plywood become strong and tough. Most plywood is pressed under pressure using heat to speed the setting process. Plywood Press of Lien Chieh Machinery (LCM) has 500 Ton 30~35 openings Hot Press, now which respectively installed in: Kenya and Indonesia, that also succeed used to produce: clip board industry, wood industry and plywood industry. Since our inception, the core goal of LCM has been to provide value creating products and service. 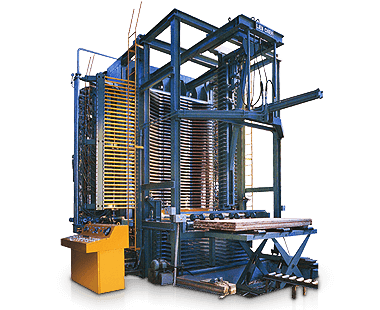 Thus, providing high quality plywood press and hudraulic plywood press remains our foremost motive and then to establish the strong famous brand named "LCM" in the worldwide. If you need more machinery detail, just browse left link or contact with us; we promise you will get more profit in your products.